Oh this is just beautiful! 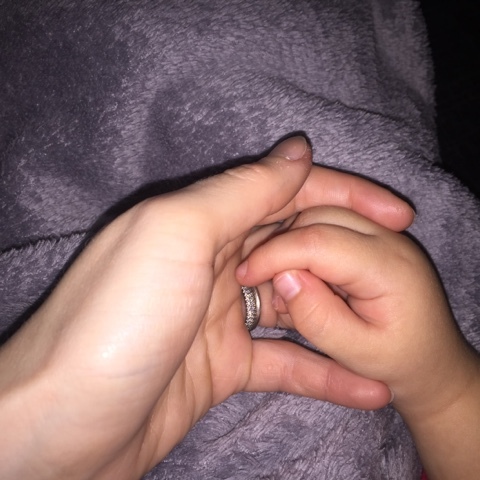 I love it when that tiny hand just finds its way into mine! What a lovely shot, it looks like you were cuddled up in a blanket too a lovely way to spend an evening. It says so much Chantelle.